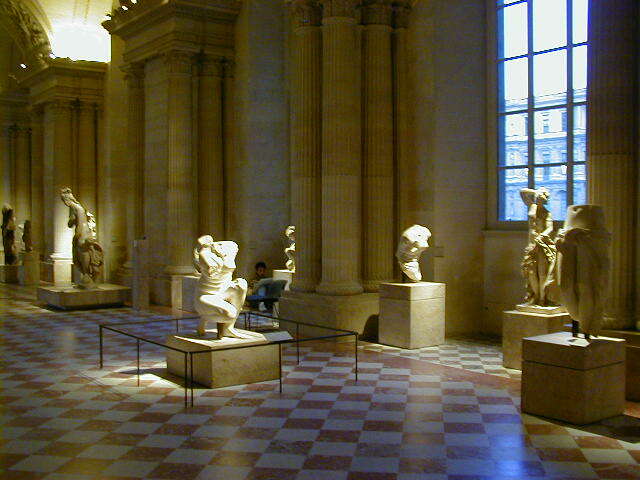 I went to the Louvre many times, I think the total came to five. It is a really big museum, and it was too good to not spend a lot of time. I took photos of a few of my favorite pieces, but the pictures below don't begin to cover what it there. 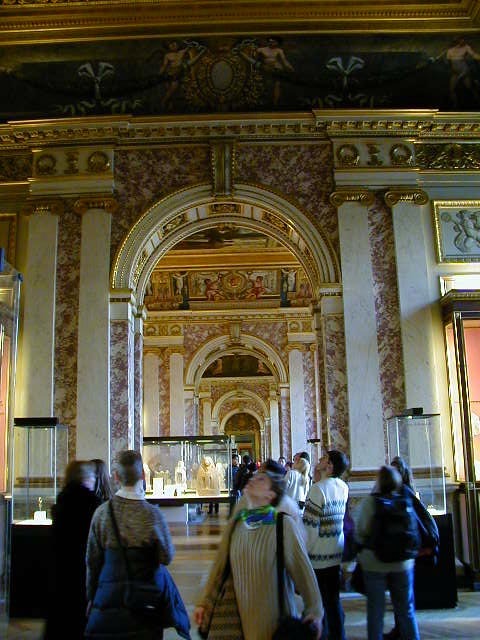 Here is a useful tip for going to the Louvre; when the line to the main entrance is hundreds of yards long, look for the alternate entrance. There are steps leading below ground to the west of the main entrance, on both sides of the courtyard. Once below ground follow the signs towards the Louvre and you will find a much shorter line. 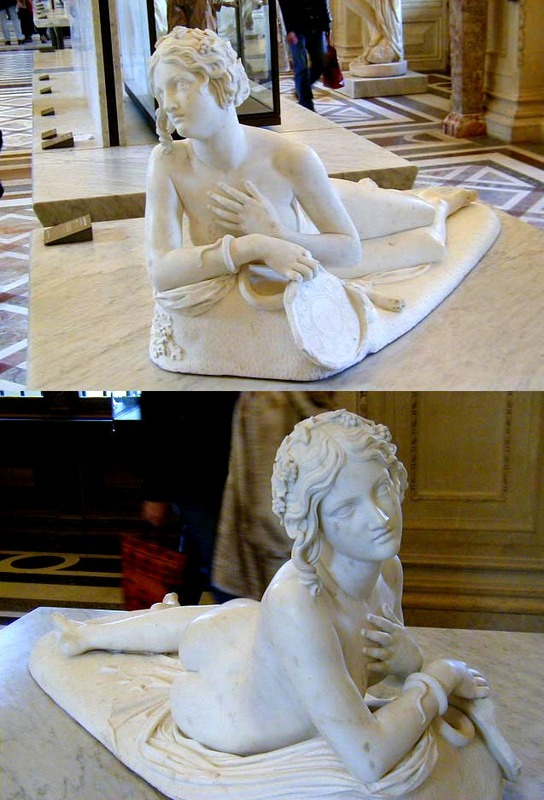 Italian Renaissance Sculptures--"Nymph with Scorpion" by Lorenzo Barolini; "Eros Awakening Psyche" by Antonia Canova, and a nymph who's name I didn't catch. Too bad, I like nymph's. Michaelangelo's Dying Slave (I kind of wonder about this Michelangelo fella); and two pictures of a woman under a veil. 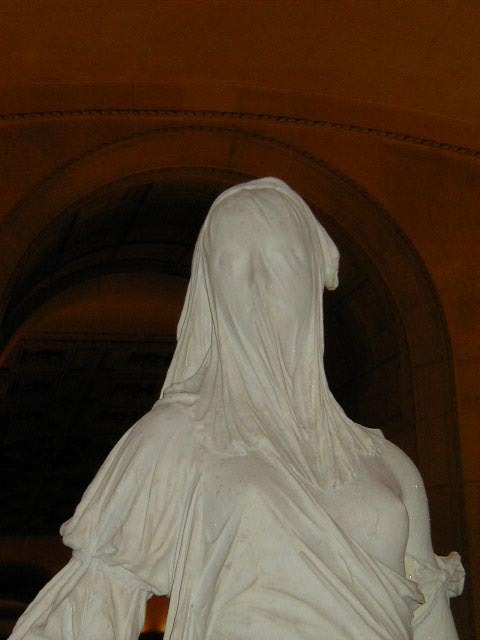 I don't know the name of this last sculpture, but I am impressed by the appearance, created in solid marble, of a cloth draped over a woman's face. 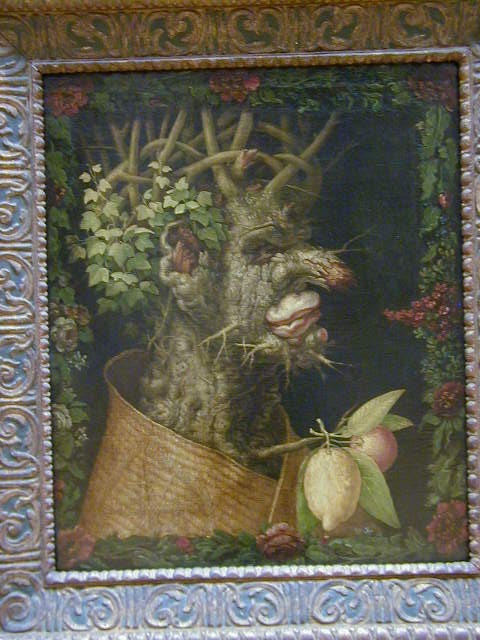 "Les Mysteres de la Passion du Christ", 16th century by Antonio Campi; and two of Arcimboldo's 16th century "Seasons", Autumn and Winter. 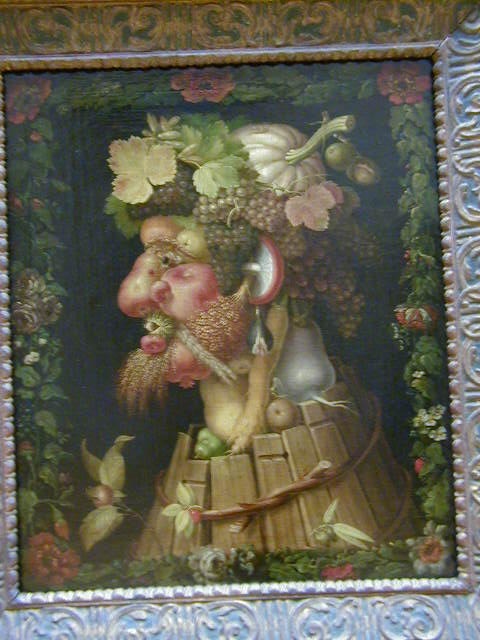 Do you think artists were using recreational drugs during the Renaissance? 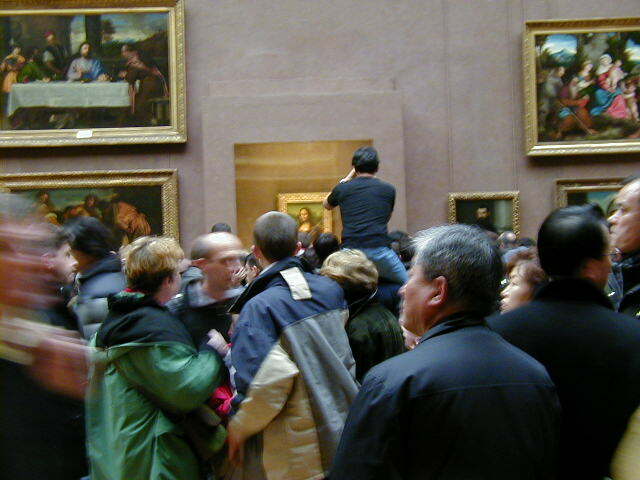 Next, a distant photo of Leonardo da Vinci's "Mona Lisa". The last time I saw a crowd like that I was at a rock concert. In fact there was somebody in the back of the room hollering "Freebird!". I was asked to leave after that. I think these belong in the category of ancient Greek sculpture. 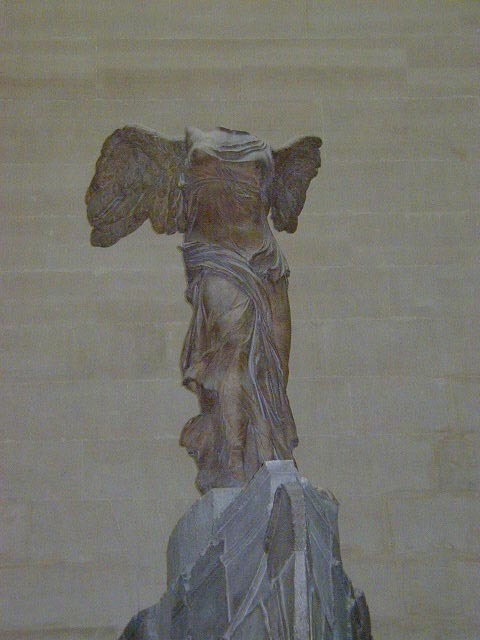 The first is the "Winged Victory of Samothrace" from 190 B.C. 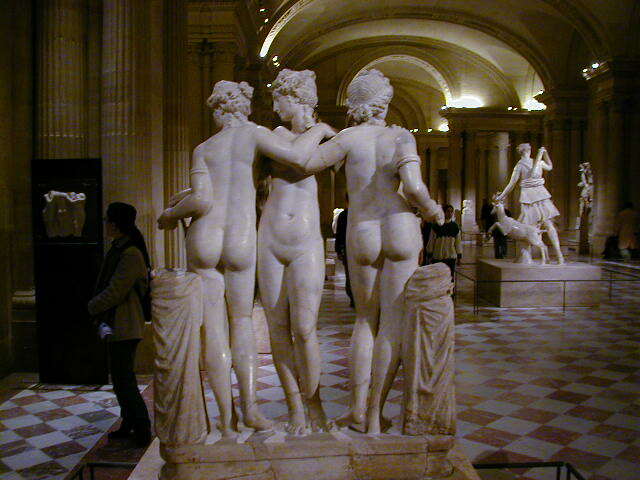 I want to call the second pair of pictures the "Three Graces", but I'm not sure it that is right. 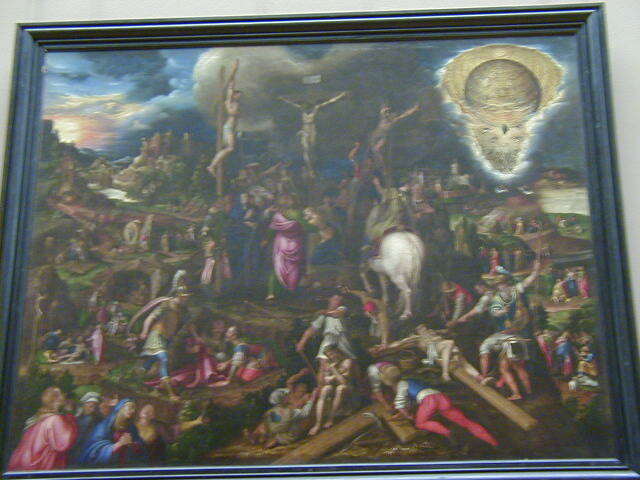 There were many rooms of paintings, thousands of paintings, enough to make me totally apathetic towards paintings. The picture below is not one of the really famous paintings in the Louvre, but it was the only one to catch my eye after I had become numb to everything else. 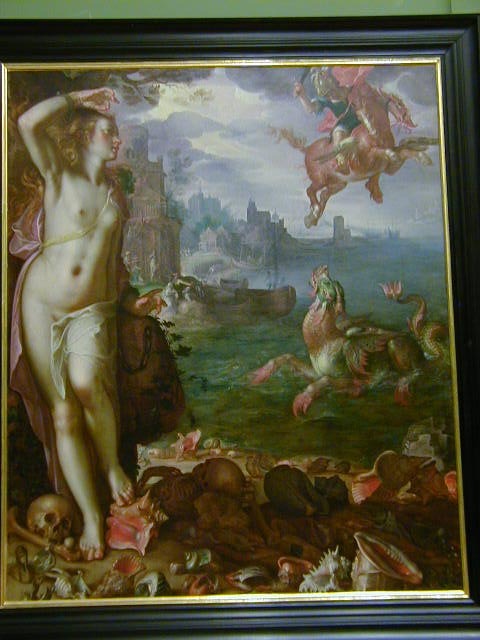 This is "Perseus Rescuing Andromeda" by Joachin Wiewael. I think that's the name, my notes are so bad even I have trouble reading them. 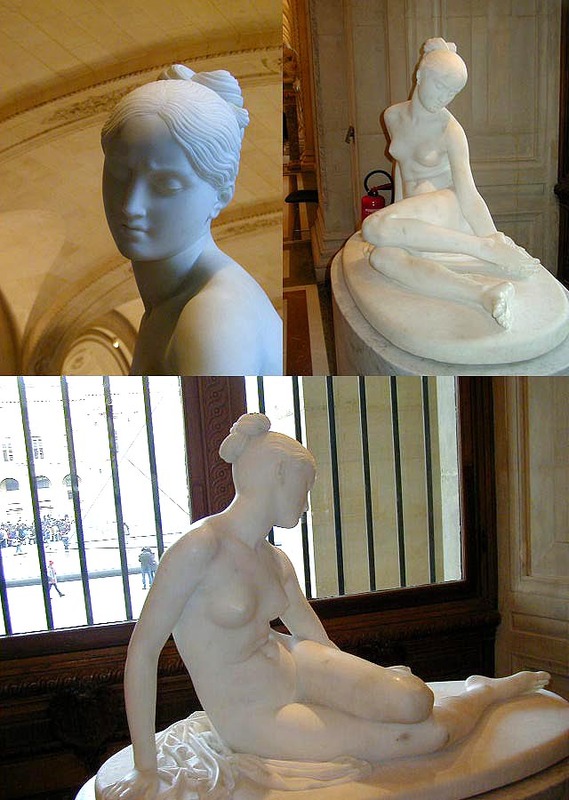 This is the only French sculpture I photographed. I don't recall the name or the artist, just that the info on it said the woman depicted was a notorious woman in Paris society who was the former mistress of the artist. It was unclear if she was depicted as flattery or to embarrass her. 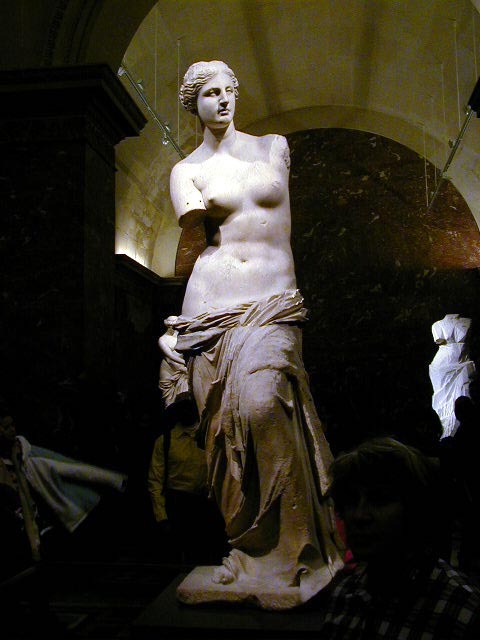 The most famous sculpture in the Louvre, the "Venus de Milo"
However there are many Venus' sculptures from ancient Rome, most depicting her after her bath. 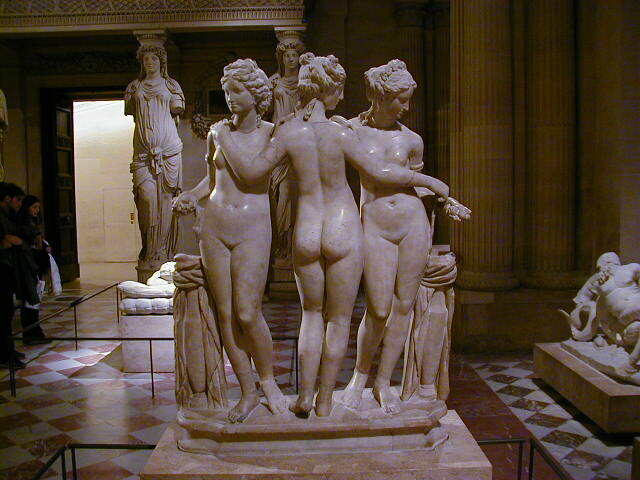 These were a continuation of the tradition of Aphrodite sculptures of ancient Greece. I count five in this picture, but there are many more in this and other museums. 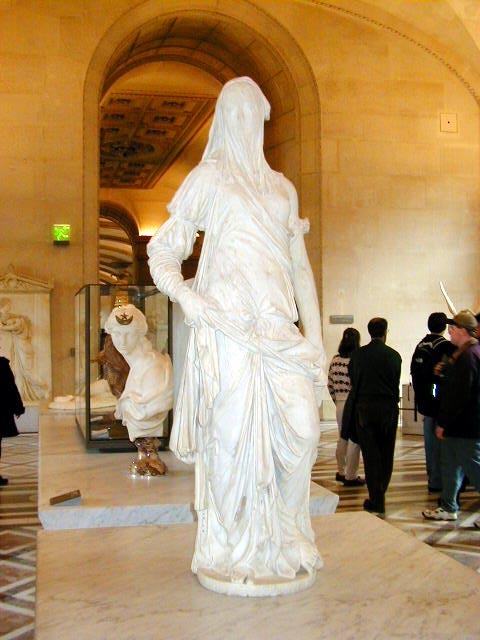 Aphrodite/Venus after her bath is one of many themes repeated many times by the Greeks and Romans. 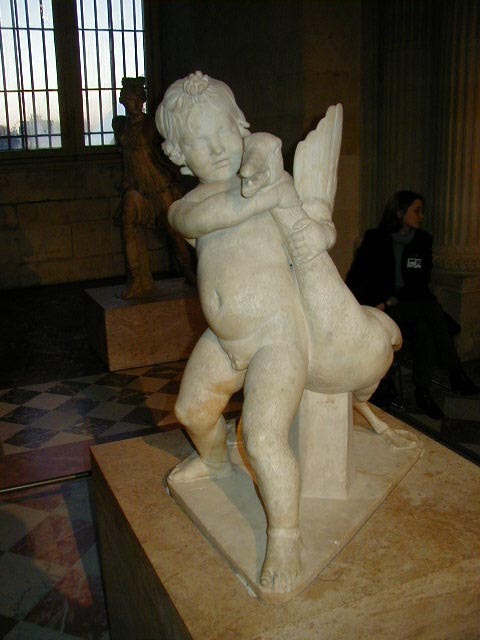 Another sculpture theme I saw in many places is this kid choking a goose. 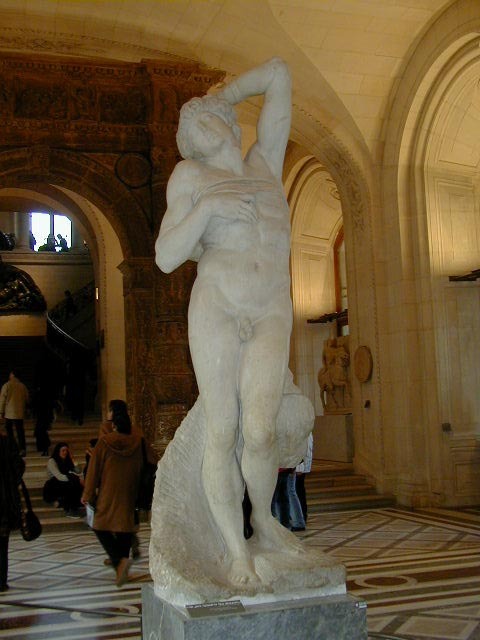 Does anyone know what the significance of this sculpture is? 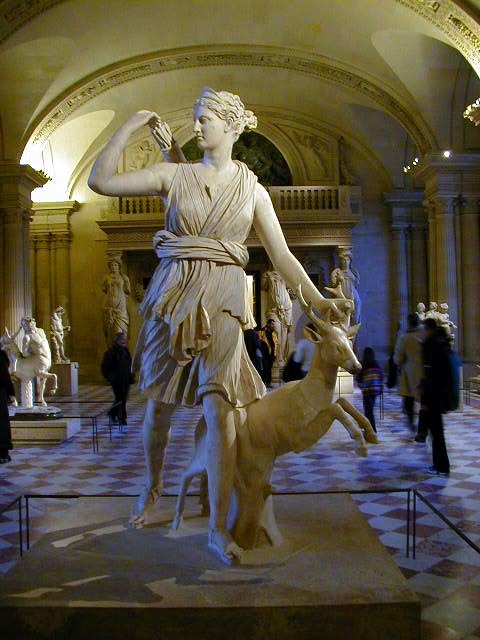 The Greek goddess Artemis was goddess of the hunt and her aegis, sort of a symbol or protective spirit, is the stag. I assume this is the Roman variation Diana. 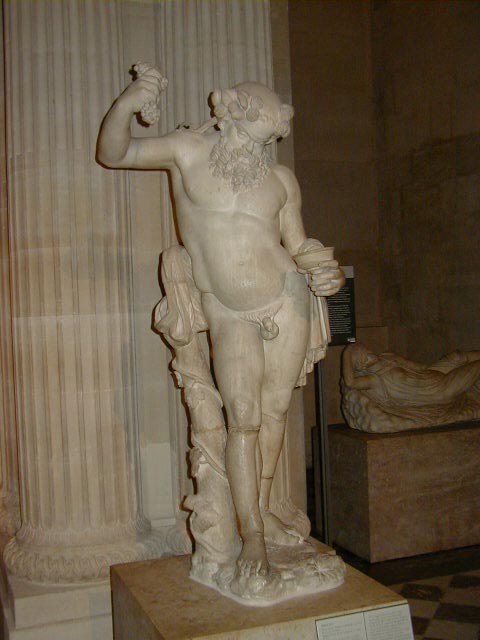 The last fellow is either Bacchus or his mentor. Both enjoyed their wine. 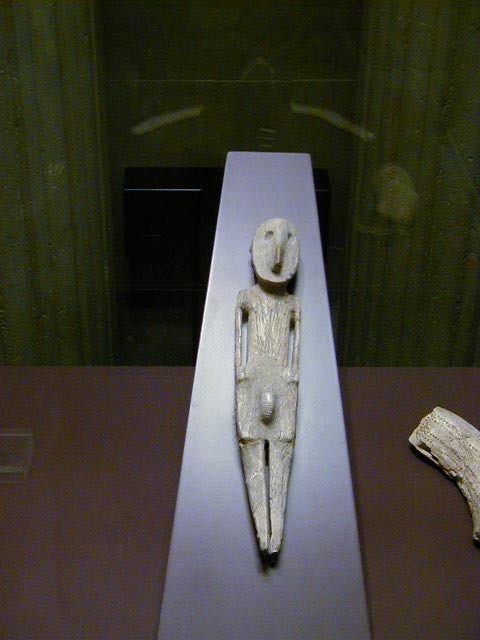 The entrance to one of the rooms in the Egyptian exhibits, the "Seated Scribe", from sometime between 2600 and 2350 B.C., followed by a late Neolithic (i.e., late stone age) flint knife with a handle carved from the ivory of a hippopotamus tooth. 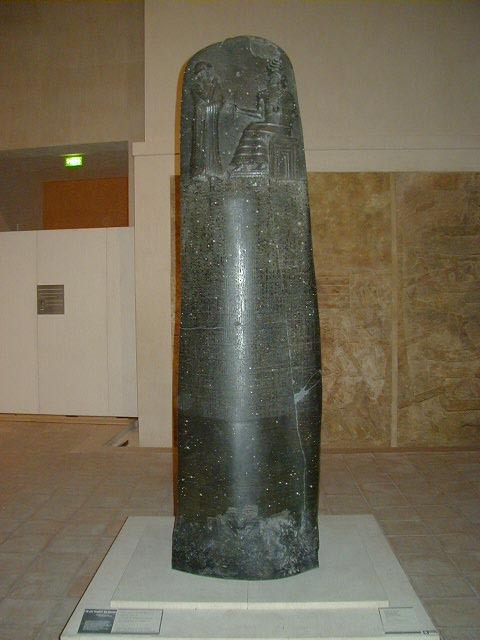 The knife is dated to between 3300 and 3200 B.C. I was surprised to see how advanced the art and craftsmanship was for such an early date. 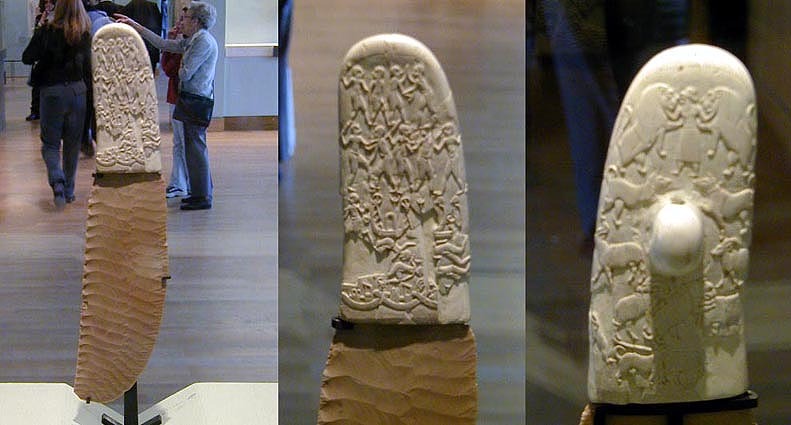 The handle was carved using stone tools and the detail is remarkable. 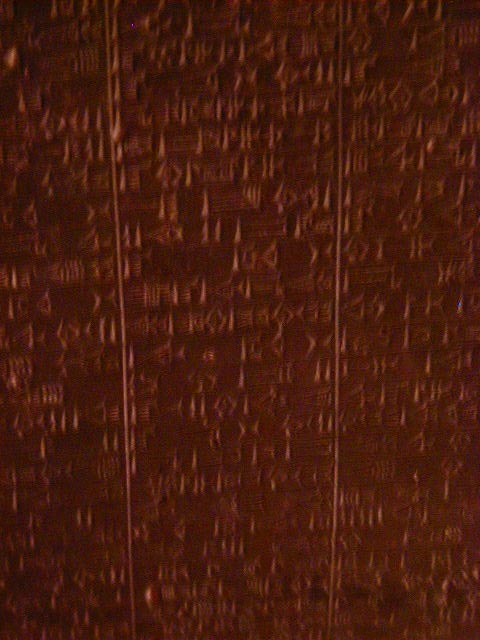 The carvings looking very similar to the hieroglyphics that came later in Egypt. 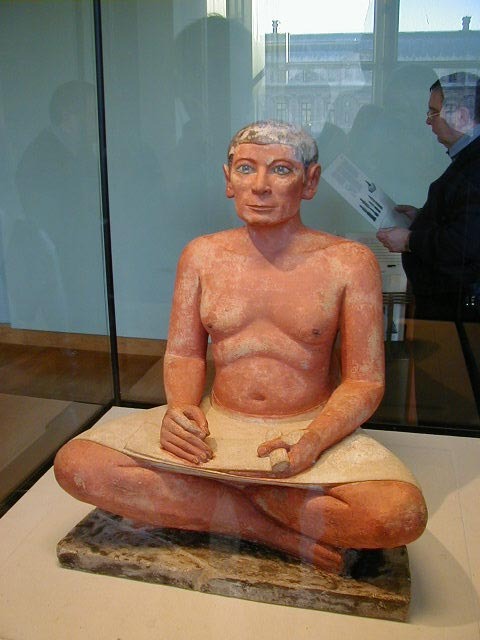 Hamurabi's Code, 1792 - 1790 B.C., the earliest known written law; a hippo tooth ivory carving of a stylized man dated between 5000 and 3500 B.C. 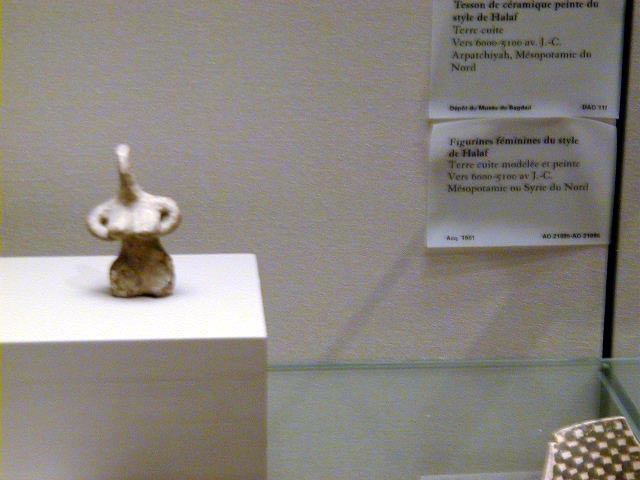 ; and a terra cotta female figure from Mesopotamia, dated between 6000 and 5000 B.C. Art has been found dating back 20,000 years, with most subjects being hunted animals, hunting deities, and female symbols of fertility. I heard on NPR that a cave with prehistoric art of the same theme of much earlier origins has been found in France. People, probably men, have been fascinated with hunting and women long before there was civilization. There is much more to France than Paris, and I would like to see more of the country. But I decided I didn't want to see it in January. So on 5 January I checked out of the hostel and caught a train to Brussels Belgium, land of beer and chocolate.